List of Trails — M.U.T.S. Below we've got some of our top trails listed in our area. For a more complete list of trails in all of Mississippi, check out Hiking in Mississippi here! This trail starts at the West Florida Boundary rest stop on the Natchez Trace Parkway at milepost 107.9 in Madison just 2 miles north of the Overlook rest stop and ends at the Highway 43 trailhead in Canton for 7.7 miles one way. The trail continues north past Canton, but it is not currently maintained. It is a single track heavily wooded trail that parallels the Natchez Trace Parkway. Hikers, runners, and horses use it, and it is maintained by the National Park Service. There are signposts along the trail, and in the first and third mile the trail runs up on the parkway over bridges for short distances before the trail reenters the woods. There is parking at both trailheads. The Frosty 15 is run on this section of the Yockanookany. Butts Park is a running and mountain biking park with 6+ miles of very well marked single track trails plus several more miles of trail all marked with orange arrows. There is a kiosk at the trailhead with a map and explanation of the signage. It connects to Mississippi College Choctaw Trails which offers several miles of cross country running. To access the trail, enter Butts Park from McRaven Road, continue down the drive, and take a left when the road comes to a T. Follow this road until it dead ends at a gate and the kiosk is on the left with the map of the trail. There is parking, no water, and no bathrooms. Big Butts 100k, 50k, 100k relay in July is raced on this trail. The Gray Center and Camp Bratton Green property in north Canton is private property owned by the Episcopal Diocese of MS. There is an 8 mile loop of varied trail including groomed grass cross country, dirt, and single track terrain. Way’s Bluff 50k, 25k, and 8 mile race in the fall is run on this beautiful property. 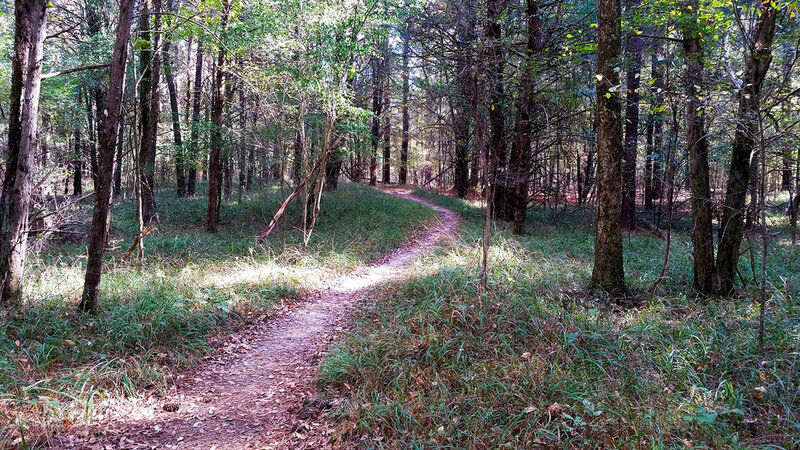 Brown’s Landing trails are running and mountain biking single track trails located in the woods between the Natchez Trace Parkway and the reservoir at the Highway 43 intersection at the Brown’s Landing boat launch. This area has a large parking lot, boat launch, bathrooms, and a pavilion. There are 3+ miles of trails that Tri County Mountain Biking Association and Pearl River Valley Association maintain and continue to add on to with a plan of 9 miles of trails that overlook the reservoir and run close to the Natchez Trace. Mule Jail is located below the Reservoir Dam and accessed from Spillway Road while traveling east from Ridgeland. There is a small parking area just off the exit ramp from Spillway Road before going over the dam. 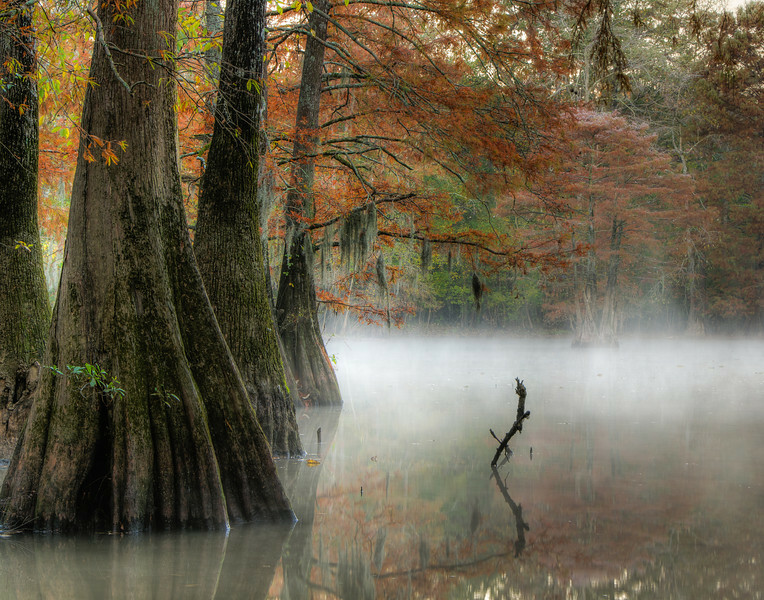 It is a 3.5 mile loop trail which runs around cypress swamps and is maintained by Pearl River Valley Association. There are signs throughout the property. It is closed during hunting season and open Feb- Sept. It floods easily during a large amount of rain. Mayes Lake is accessed from Lakeland Drive on Lakeland Terrace Road. The lake is part of Lefleur’s Bluff State Park and has a pavilion, campsites, bathrooms, and picnic areas. There are 3-4 miles of sandy trail, gravel trail, road, and boardwalks leading up to the back of the Natural Science Museum. There is a small car fee to access Mayes Lake. The trail parallels the Pearl River and winds in and around cypress swamps. The Mt. Zion bike trail is located in Brookhaven, MS. These trails have been used predominately for mountain biking in the past but trail running has become popular. The trails are mostly single track with a few areas that open up to wider trail. The trail offers 2 mile, 6 mile, and 9+ mile loops as well as a kid's 1 mile loop. They are very well maintained and consist of bridges, a barn, a bone yard, and a pavilion. They have been voted the number one trail in the state and rank very high on a national list of bike trails. There is a donation box at the trail head, and 100% of proceeds go into the trail. The Dust n Bones Trail Race is held in May on the trail.